When I finished knitting Flo this summer, I loved it. After a few wears though, I had to block it every time I wore it. The wool yarn I picked was not a good choice. It was too stiff, and so, the sweater would really curl in the back. Since sweaters take a lot of time to make, I could not have it just sitting in my closet. I decided to use the yarn for something else. I have been wanting to make this Drops A-line Jacket for a while now. 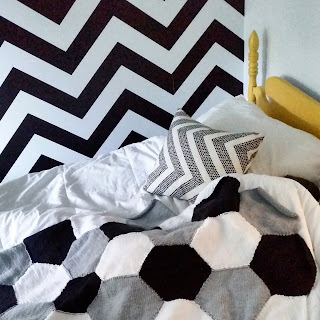 Such a fun project, and it is a free pattern! Mine looks quite different than the original does. 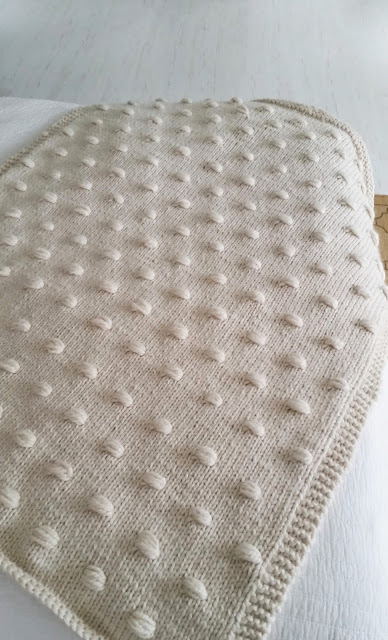 I took a few chances by changing the pattern to be knit from the top down, and using worsted weight yarn, instead of the bulky weight that the pattern calls for. It did not turn out exactly how I had hoped, but I am very happy with it. I think I will wear this one a lot. 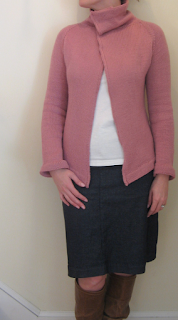 Mods: I knit this from the top down, and made long sleeves, instead of the 3/4 length. I have one more knit to rip apart. I am almost afraid to show you which one it is.....more on that later. Oh, yeah! It's very nice and looks terrific on you! I love the length, the buttons and the details (I'm sorry. I do not know knitting terms!). Good that you were able to use yarn from something you weren't comfortable with on something you'll enjoy much more often. Ok I just need to stop being so "surprised" when I read your blog. I really like the style, I bet you'll get a lot of wear out of it. Maybe, just maybe, if I keep knitting, I might someday be able to make something this great! I am halfway through my beaded scarf and I have learned SO much with this project. It's taking FOREVER! I'll bet you knit so fast that it's hard to even see your hands moving!! I like the remake on this one. Of course, I loved the original one you made with this yarn, but....you can't be blocking it every time you want to wear it. THis looks great on you and very eye-appealing! Very pretty! I love the brown too; it is one of my favorite colors. This looks fantastic on you!! Love the colour. I'm never brave enough to harvest yarn from an older knit. I'm just too chicken to do that but realize I should if I'm not going to wear the garment... nah, I'm still too chicken. Love this sweater you did a wounderful job on it as usual!and I love your color choice. I have had this one on my "someday" list for about three months now. You are so brave! It just makes sense to make something more wearable. I love the stylings! At least you were able to wear Flo a few times, so it is like getting 2 sweaters in one supply of yarn! Oh, that is a hot collar - nice! please don't tell me it's the knit from the top down with the hood in the eco-wool! i'm dying to get back to it now that i'm done with bags for a bit. though i still have a few small gifts to finish up. I love it! It's so beautiful especially with that stitch pattern down the front. That is fantastic! It looks great on you! oh...i love it so much! someday i'll learn how to knit..but for now i'll just look at your beautiful projects and dream! oh it's so beautiful!Have always loved this jacket. Bet it's nice and warm too. That's a beautiful sweater. You have to look back and see just how many things you knitted this past year, I think even you will be amazed at yourself. I'm so impressed with everything you get done. Very nice reuse of sweater yarn that wasn't working for you. I love the mods you made. I stumbled across your blog months ago, and as a beginning knitter it's been very helpful to me. Love the patterns, yarn and knitting tips! I had to write in regarding your most recent post. I'm halfway through "Flo", and am using the same yarn that you used. Help! Do I continue - or unravel (which would break my heart)? It looks very pretty on you! I also prefer the longer sleeves. I never seem to have the nerve to rip and reuse yarn, even if I am not happy with it. Look at you, taking chances! It looks fabulous on you. I love the neckline and the buttons! Gorgeous! I'd wear that every chance I got if I were you. It's really perfect! That sweater turned out great! I really, really want to knit a sweater this winter...any suggestions on a good place to start? Fabulous! I love that style. It look very elegant on you! And good job on reusing the yarn. Great looking sweater! Looks great on you. With the cold weather here, I'm sure you will wear it often. Very stylish! Are you kidding me? I love your blog. I don't know you. I don't know how to knit, and yet I keep coming back. Your creativity inspires. It looks amazing! Now I want to make another one that looks just like yours. I LOOOOOVE how you did the collar - did you deviate from the pattern at all? Wow, that is cute! Flattering and comfy looking.